Photos: On churchyard memorial and wall. Co. Cork, Ireland. 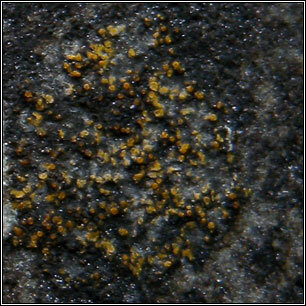 Crowded yellow to orange discs, thallus +/- absent. Discs convex with concolous margins which become excluded with age. 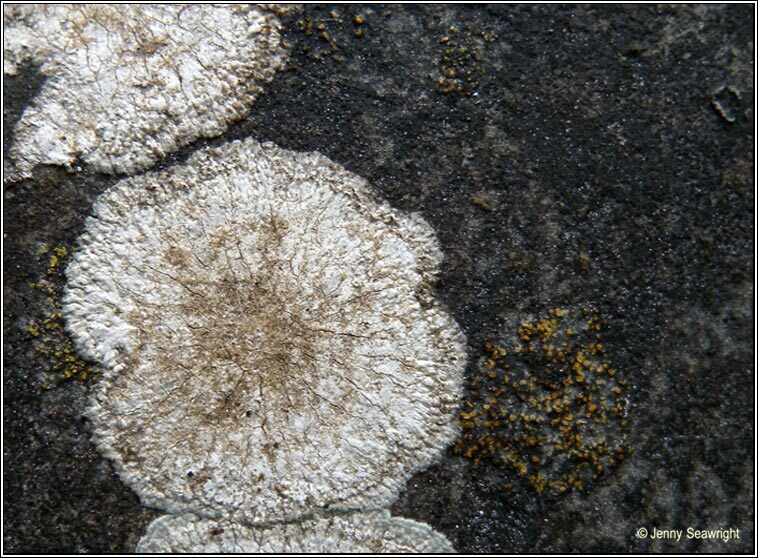 Apothecia: K+ crimson / purple. Occurs mainly on siliceous stone and rocks. Part of a group of similar species. 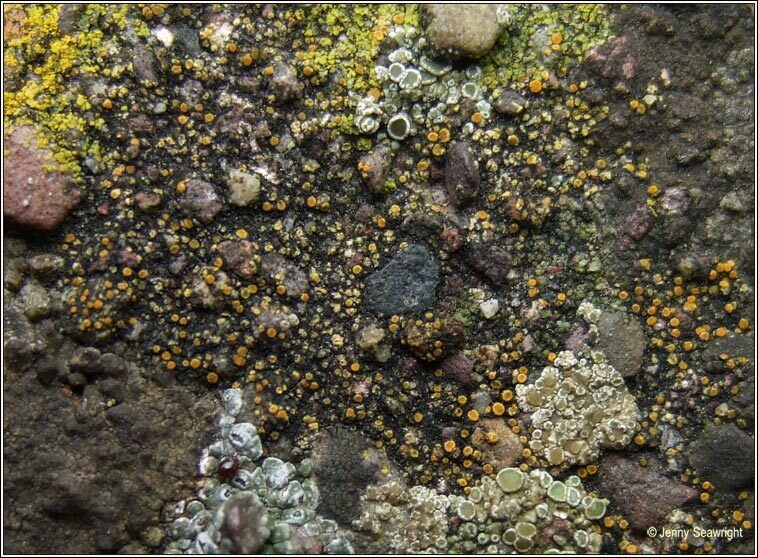 Caloplaca oasis is found on calcareous stones and mortar. C. pyracea occurs on bark.